The Internet has seen the rise of electronic currency trading which has allowed anyone, with a just a hundred dollars to enter the world of currency trading. In response to this growth in retail trading, there are now a huge number of get rich quick systems available, to help traders achieve success and there normally referred to as currency trading robots or Expert Advisors. The idea is a trader can buy a robot which will execute, trading signals automatically. 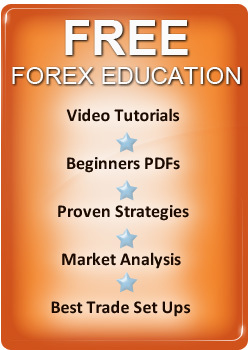 The trader then can make profits without having to get any education or know anything about currency trading. This is the theory but the fact is - most of these systems lose money and here we will look at why. What is the difference between a currency robot and a currency trading system? There is no difference really apart from in the name. The point I would make though is anyone who calls a system a robot or an Expert Advisor is normally selling a system which doesn't make money or is a scam. The names are catchy and appeal to people who want to get rich quick quick and the people marketing these trading strategies know this. Currency trading can make people rich and it will reward traders, who take time to learn the basics and adopt the right mindset for success but most traders of course don't want to do this, they want to get instant profits and make profits with no work and marketers are waiting for them with a huge number of automated FOREX trading systems which a trader can buy very cheaply and the retail price, of the average system is between $50 - $500.00. These robots are easy to set up and use and can then be plugged into a broker trading platform such as Meta Trader and the program is then ready and the trader who has bought it, can then start executing the trading signals generated by the program. So do these automated trading systems work and do they make money for traders long term? The answer is the vast majority of systems which are sold online fail to make traders money. The reason for this is the formula to generate the trading signals is NOT programmed by a FOREX trader but a computer programmer. Marketing companies appoint a programmer, to run tests over back data and fit the rules to make a profit going backwards. Quite simply, the system is bent to fit the data and this is referred to as 'curve fitting'. There is a problem with this because when the system is traded for real, price data never repeats itself in the same way again and the systems trading signals soon lose money. Anyone can make money knowing the closing price in advance but trading without knowing the closing price is the challenge of FOREX trading. The first point to keep in mind is if you see any system which promises you huge profits with little or no risk in currency or any other financial trading its likely to be a scam. Consider this the best automated currency trading systems in the world, will over a period of years compound 30 - 100% per annum but they will also have periods of losses or draw down. So how much as a percentage of equity, will these systems lose and how long, will the period of losses last until a new high in equity is made? Even the best systems in the world, will lose 20% at some point and this losing period will last for a several weeks to several months, before a new high in equity is made. Anyone who wants to trade a mechanical currency trading program needs to focus on the long term and be patient when these periods of draw down are taking place. Most of the automated FOREX Expert Advisors sold will not only claim far bigger profits ( many claim 100% per month or 1,000% a year or more) they also claim draw down periods will be less than 20% and you will also notice, these losing periods tend to only last a few days. If you see big profits above 100% per annum with little or no losses, chances are the system is a scam. Trading accuracy actually doesn't matter in terms of the overall profits a system makes its the difference in size between winners and losing trades which matters but the robot scammers know, buyers don't want to see losers so they make sure there trading systems produce a huge percentage of winning trades which is almost always over 80%. The best FOREX traders in the world, probably only make money on 30-50% of their trades so anyone who claims they make money on a bigger percentage is probably lying. The other scam is the robot has discovered, the secret of currency price movement so is guaranteed to make money long term. I see a new trading system every week which claims this and of course it's not true, its just marketing hype so ignore these systems. Some system vendors don't bother putting the above and produce endless statistics and what they refer to as 'live trades' which are never live there just made up track records with no audit from a reputable auditor. If you are a patient trader, you can make money with an automated trading program and you can read more about the Best Currency Trading Systems on this site and how to choose them. In my view, the vast majority of Expert Advisors and robots give the the industry a bad name and you can read Currency Trading robot Reviews and if you do you will see why, they don't make profits for traders. You can use mechanical trading programs if you follow the guidelines we have given you and they will make money long term or you can learn the basics of currency trading and devise your own strategy for profits which is far easer than many traders believe. Most traders will do better learning a trading strategy themselves because, they will understand how and why the system works and therefore, will be able to follow it with confidence ad discipline. You can make money with both methods but even if you do follow a trading program make sure, the vendor tells you how and why it will make money so you can trade it long term with confidence and discipline.